In the first of our series on boosting Amazon rankings we want to give a quick, handy guide on how the process works and some simple steps you can take to make a big difference. The first thing to note is that there are THREE TIMES as many buyers searching for products to buy on Amazon, rather than Google. Unlike Google, there is no off-page SEO for Amazon; meaning they only use internal factors to work out your products rankings - so first of all there is no need to think about backlinks, social media or domain authority when selling on Amazon. Amazon isn’t like Google where they seek to hide the factors that they use in their algorithm. Inside Amazon’s Seller Central, they tell you several of their top ranking factors. So what factors influence your ranking? This is one of the most important ranking factors and refers to the number of sales compared to other similar products on Amazon. It is by no means unique to Amazon's A9 algorithm that the quantity and positivity/negativity of your customer reviews has a strong bearing on your ranking. Similarly, your responses to customer reviews and how well you answer questions is a metric that affects your product's rankings. Amazon are frequently tightening their rules and regulations surrounding their image size and quality policies for seller's listings. For example, some product categories won’t even display results that don’t have at least one image that is 1000×1000 pixels or larger. These are called “suppressed listings”. The reason for this demand for large images is so customers can make use of Amazon's zoom feature (image above) which has a dramatic effect on conversion rates. Depending on your product type and category, Amazon will allow you between 5-9 images for your listing. 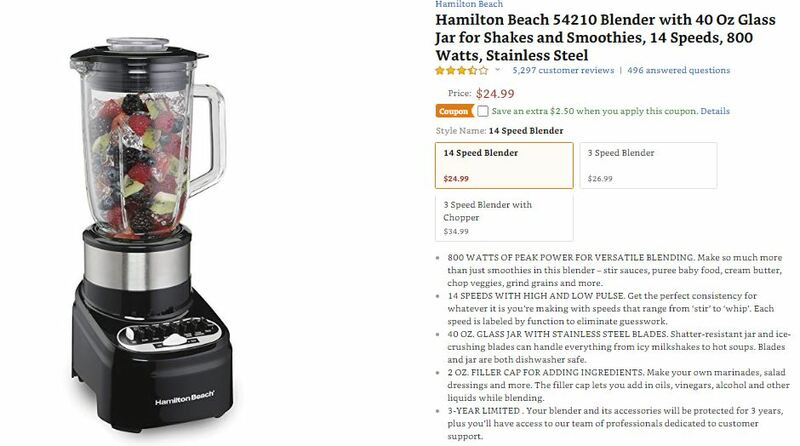 Despite its lower star rating, this product ranking above better-rated competitors because it offered good quality images, had answered more questions and had an optimised title and description. One of the biggest factors Amazon uses to work out your product's predicted conversion rates is pricing – they know that first and foremost, customers will go for the best deals. 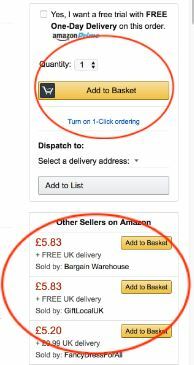 More importantly than this though, the A9 algorithm uses pricing as a major factor in picking which product to show in the Buy Box (below right, source), which is the part of the page containing the Add to Cart button. "82% of Amazon’s sales go through the Buy Box, and the percentage is even higher for mobile purchases." The Buy Box is such a large part of Amazon selling, that we will dedicate an entire blogpost to this as part of this series. Remember when I said how Amazon can track every little thing a customer does on your product pages? Tracking the time a customer spends on your page tells them how interested that customer is in your products. 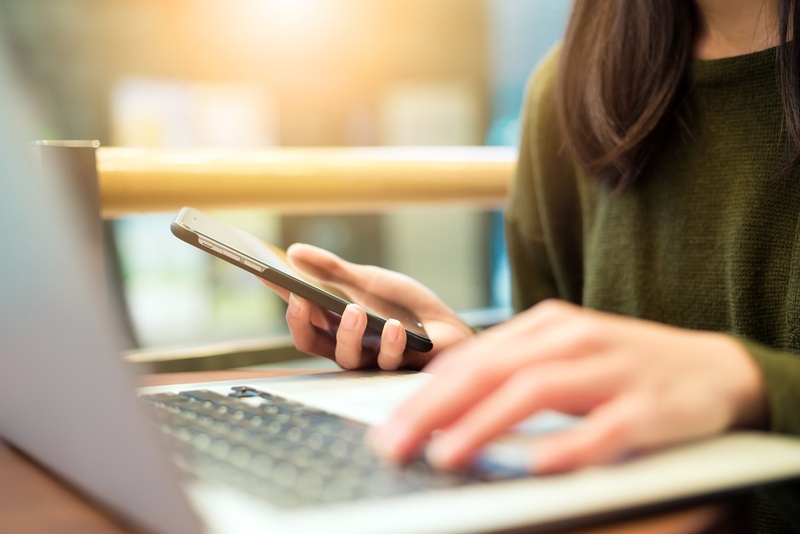 The same as running a web or e-commerce store, the more time someone spends reading all the descriptions, reviews and info - the more likely they are to want to buy your product. Finally, the last conversion we are going to cover in this first part of the Amazon ranking guide is how complete your listings are. The more complete you can make your listing, the better. Try and complete every single field to maximize your chances of appearing at the top of product search results. The POP measures how many orders go 'perfectly' from when your customer first orders the item to it arriving on their doorstep. Those Amazon sellers with the highest POP will have prompt shipping, regularly updated stocks and accurate product info. Now this hardly needs saying but the higher the POP score, the higher your rankings will be! So what can we take from these facts and figures mentioned above? Fill out as much of your product listing page as you can, using as many keywords as possible. Use interesting, engaging language to keep visitors reading and scrolling on your product pages. Find ways to encourage customer reviews, answer all questions promptly and do everything you can to keep your customers happy. So once you get the ball rolling with more sales on Amazon, more success should follow. Download our free Amazon 101 e-book to get the full story on how to get the best possible Amazon rankings and start seeing massive improvements to your sales.